Democratic Attorney General Andy Beshear and a lawyer representing Republican Gov. Matt Bevin's office argued over whether legislators violated the state constitution by rushing the bill to passage in a matter of hours this spring. Changes to retirement benefits in the pension bill mostly affect future state employees but also tweak benefits for some current workers. 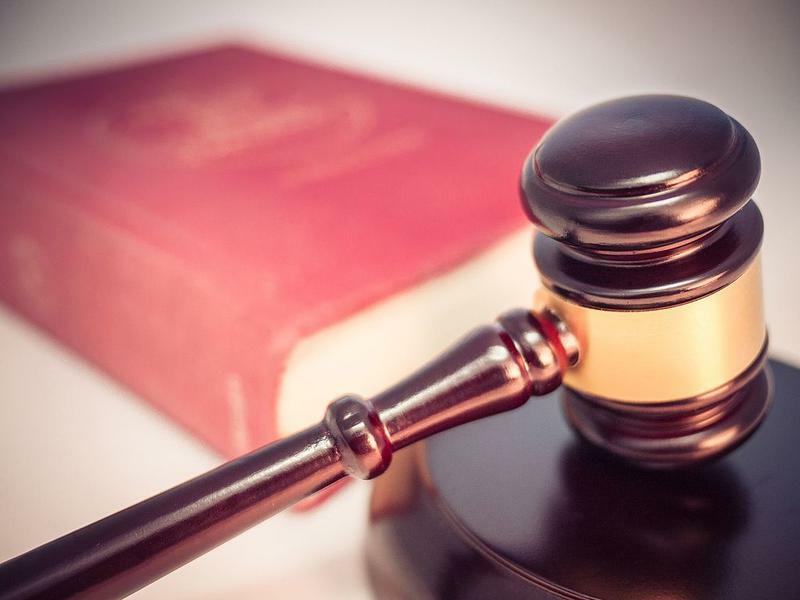 The new law was blocked by a lower court earlier this year, and Bevin appealed the decision. Steve Pitt, general counsel for the governor's office, said that lawmakers and citizens had been adequately briefed about the contents of the pension bill because a similar version was discussed earlier in the legislative session. "We are a representative democracy and while certainly it's important for the citizens to know, what's most important in a representative democracy is for legislators to know what the bills are," Pitt said. Bevin and Republican leaders of the legislature argue that the changes are necessary in order to keep the state's pension systems financially viable — they're currently among the worst-funded retirement systems in the nation. Teachers and other state workers swarmed the State Capitol earlier this year to protest proposed changes, pressuring lawmakers to kill an early version of the bill that would have cut cost of living adjustments for teachers. Then, a new version of the bill surfaced on one of the final days of the legislative session. With supermajorities in both chambers of the General Assembly, Republican lawmakers passed the measure on to Bevin's desk in a matter of hours. Pitt, Bevin's attorney, argued that the new pension bill was similar enough to the old one —Senate Bill 1 — that lawmakers and citizens were already aware of its contents. Beshear argued that no one had enough time to comprehend the new, 291-page bill before it was voted on. 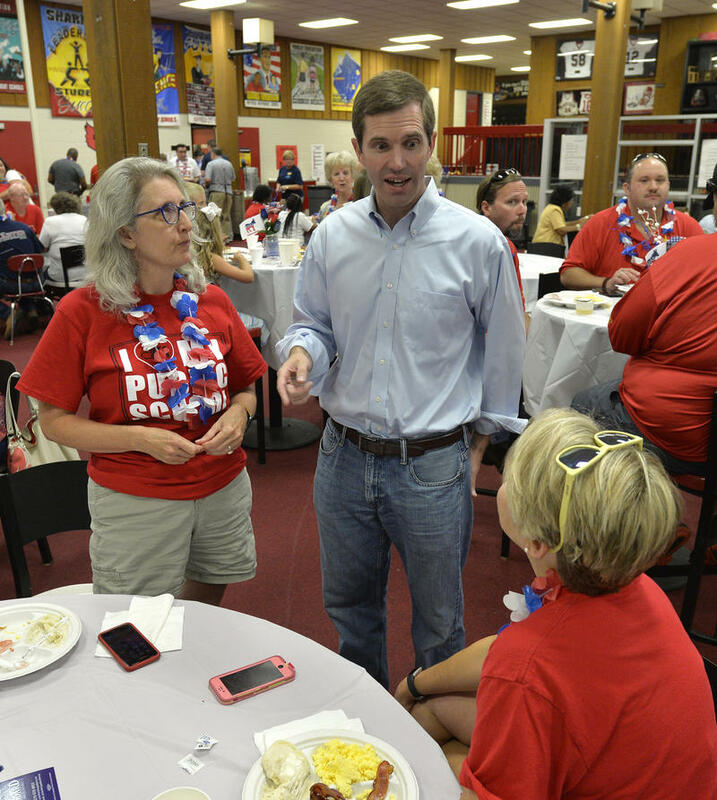 "This bill was placed in front of them and at very least, they should have the right to read it and determine if it is Senate Bill 1, how it differs from Senate Bill 1," Beshear said. "There is no way they knew the contents of what they were voting on." Pitt also argued that the legislature is allowed to make its own standards for how bills pass into law and the court didn't have the authority to rule that lawmakers had violated the Constitution. Justice Michelle Keller questioned whether that would leave any oversight on how the legislature passes laws. "I'm just wondering if we defer to the [legislature] to interpret the constitution themselves solely with no check and balance on that, who is performing that interpretation of the constitution?" Keller asked.